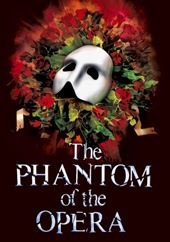 There will be a number of key cast changes in Andrew Lloyd Webber's musical “The Phantom of the Opera" at Her Majesty’s Theatre with effect from 1st September 2014. Liam Tamne will star as ‘Raoul’, John Ellis is ‘Piangi’ and Alicia Beck is ‘Meg. Gerónimo Rauch continues as ‘The Phantom’ with Harriet Jones as ‘Christine’ and Emmi Christensson, as her alternate. Continuing their roles are: Andy Hockley as ‘Monsieur Firmin’; Martin Ball as ‘Monsieur Andre’; Lara Martins as ‘Carlotta’ and Jacinta Mulcahy as ‘Madame Giry’. Liam Tamne is probably best known from the second series of BBC 1’s ‘The Voice’. His previous theatre credits include ‘Enjolras’ in “Les Miserables” (Queen’s Theatre); “Hair” (Gielgud Theatre); “Hairspray” (Shaftesbury Theatre) and “Wicked” (Apollo Victoria Theatre). Alicia Beck is making her West End debut as ‘Meg’. After training with the Birmingham Royal Ballet, Alicia danced with Ballet Dortmund, Ballet Nice Mediterenee and The Zurich Ballet. 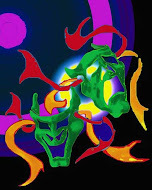 Most recently she has played the role of ‘White Cat’ in the UK and European Tour of “Cats. The full cast will be: Zoe Arshamian; Martin Ball; Emma Barr; Alicia Beck; Kieran Brown; Emmi Christensson; Joseph Claus; Scott Davies; Hadrian Delacey; Meshell Dillon; John Ellis; Fiona Finsbury; David Francis; Lyndsey Gardiner; Ryan Goscinski; Philip Griffiths; Layla Harrison; Andy Hockley; Elizabeth Holmes; Daisy Hulbert; Ellen Jackson; Harriet Jones; Tim Laurenti; Lara Martins; Leo Miles; Tim Morgan; Fiona Morley; Jacinta Mulcahy; Richard Munday; Ryan O’Gorman; Joanna O’Hare; Simon Rackley; Gerónimo Rauch; Shena Sanders; Oliver Savile; Danielle Stephens; Liam Tamne; Claire Tilling; Georgina Ware and Lisa-Anne Wood.